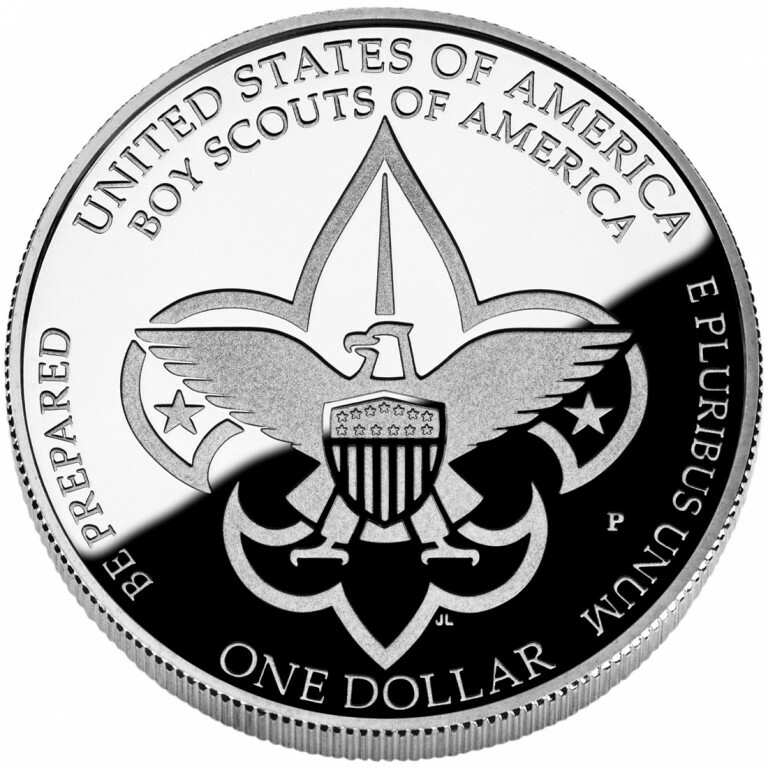 The Secretary of the Treasury is authorized to mint and issue up to 350,000 silver dollar coins in commemoration of the centennial anniversary of the Boy Scouts of America. As authorized, the United States Mint will produce silver dollar coins in proof and uncirculated qualities. The Boy Scouts of America will celebrate its centennial anniversary on February 8, 2010. The largest youth organization in the United States, it has 2.8 million youth members and 1.1 million adult leaders in the programs of cub scouting, boy scouting and venturing. Since 1910, more than 111 million people have participated in the organization’s traditional programs. The organization was granted a federal charter in 1916 by an Act of Congress signed into law by President Woodrow Wilson. Annually, scouts and their leaders volunteer over 35 million hours of service to their communities through more than 75,000 service projects, meeting a wide range of needs in the areas of food, shelter, education and environmental conservation. Members, leaders, and alumni of the Boy Scouts of America are preparing for the organization’s next century of service with a 100th Anniversary Celebration, titled “100 Years of Scouting—Celebrating the Adventure, Continuing the Journey,” that celebrates its rich heritage and the role scouting plays in shaping our Nation’s culture and future. 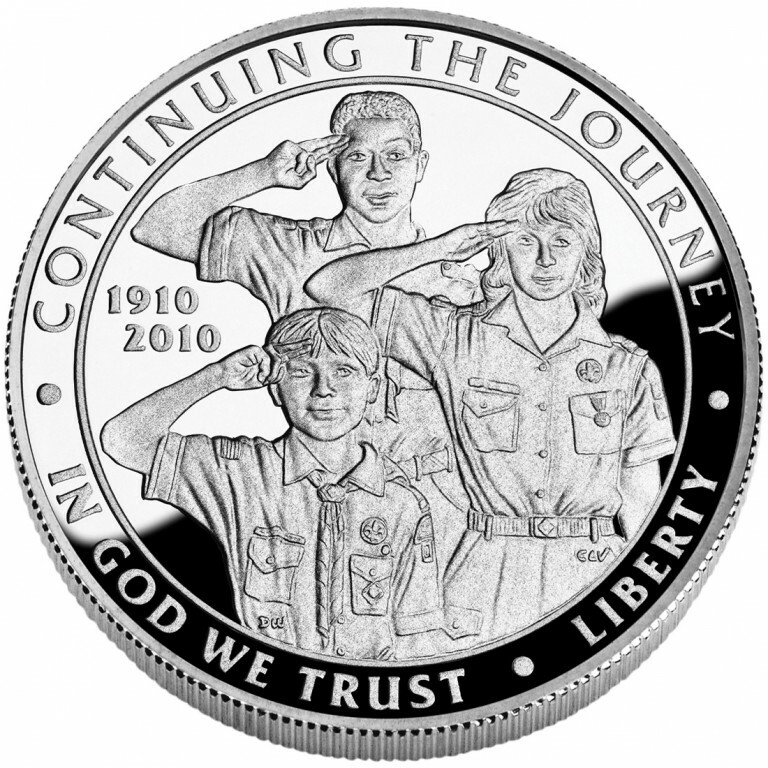 Surcharges from this commemorative coin program are authorized to be paid to the National Boy Scouts of America Foundation, which will make funds available to local councils in the form of grants for the extension of scouting in hard-to-serve areas. 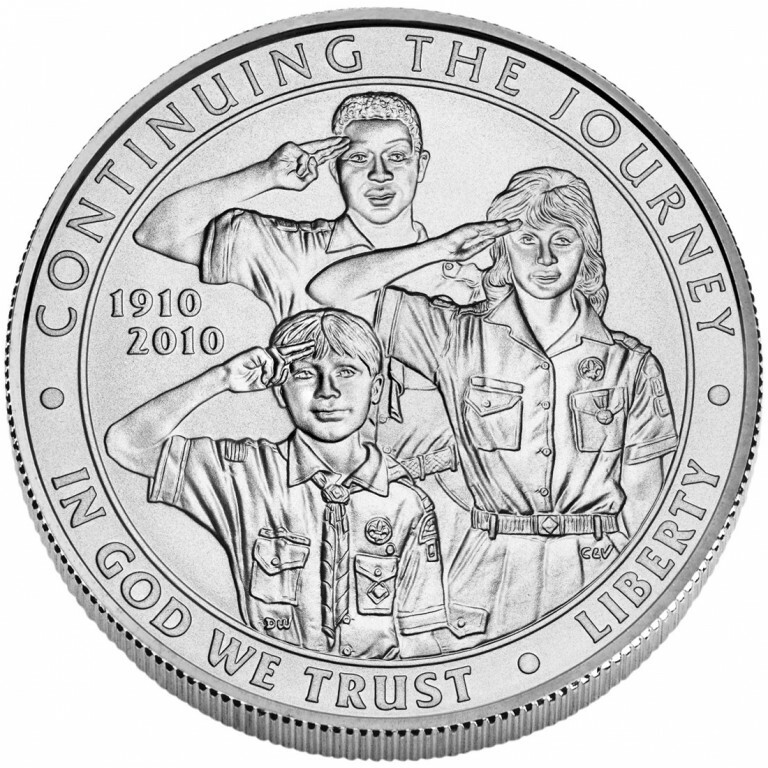 The obverse (heads side) design depicts a Cub Scout in the foreground with a Boy Scout and female Venturer in the background saluting. This design represents the Boy Scouts of America of today, as the organization has recognized the need to include other programs for younger boys (cub scouts) and older boys and girls (venturers), reflecting the great diversity of our nation. It is a dramatic representation of how the Boy Scouts of America has evolved over the past century to form a strong foundation of leadership, service, and community for all the youth of America. The reverse (tails) design features the Boy Scouts of America's universal emblem. 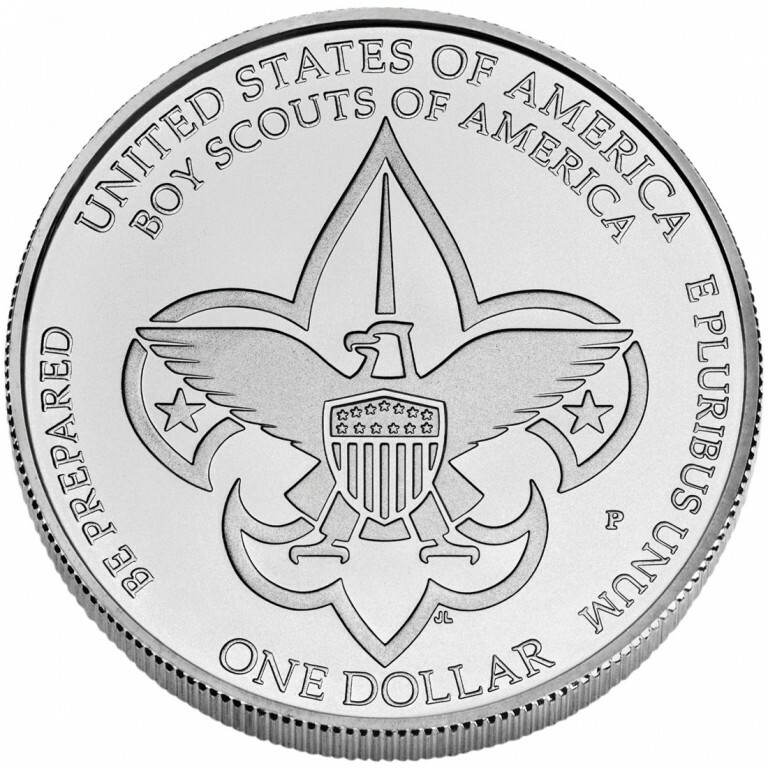 Both designs were approved by Secretary of the Treasury Timothy F. Geithner on September 16, 2009, at the recommendation of the United States Mint, after consultation with the Boy Scouts of America and the U.S. Commission of Fine Arts, as well as review by the Citizens Coinage Advisory Committee.